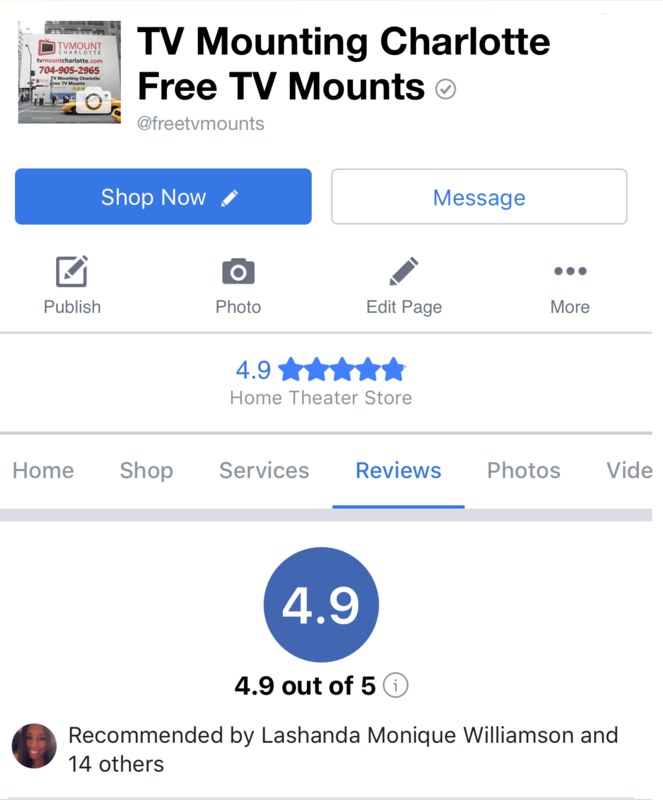 CALL NOW TO GET YOUR FREE TV MOUNT! Are you looking for a TV mounting service in Charlotte dedicated to offering the most exceptional services you want? Have you tried other expensive or seemingly “simple” options that did not work for you? Are you tired of contractors or middlemen who DON’T SHOW UP or NEVER RESPOND to your texts or emails? 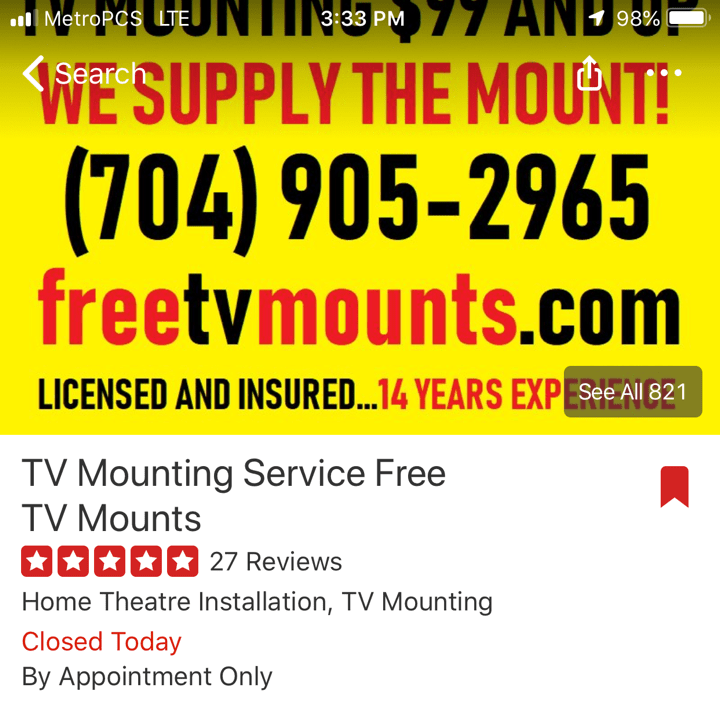 Get all your of TV mount installation needs in one place with the great TV Mount Charlotte mobile app! Whether for home or office, commercial or residential, we can take care of all your TV mount installation needs. We are professionally licensed, bonded, and insured installers with over 14 years of experience, offering same-day or next-day service in most cases. New home theater system for the family? New gaming station for your man cave? Waiting room full of clients or patients? We can handle it all; no project is too big or too small. Tried mounting your TV on your own? We understand. Installing a TV mount is the kind of project that looks like a piece of cake, at first. But once you start putting holes in your wall and wondering what to do with all the wires, it quickly becomes apparent that you’re in over your head. Is the mount installed securely to the wall studs? Is it level? Is it even the right mount for your TV? Not to mention, the tools and hardware cost you will spend on just a basic TV installation. What’s more, a poorly installed TV mount can be a danger to your children and pets. 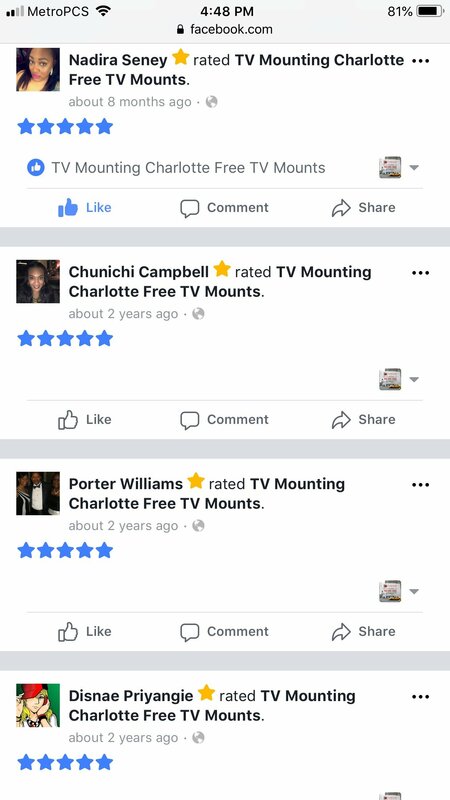 Save yourself the hassle and danger by calling TV Mounting Service Charlotte for a free quote! Our easy-to-use app will give you a detailed quote. One phone call and you will be scheduled for installation in no time, often on the same day or next day. In no time at all, you’ll have a professional on the way—no fuss, no muss. No need to send emails or photos, or worry about cancellations! We offer a range of installation packages to suit your needs perfectly. We even provide a free TV mount with every installation package if you need one. 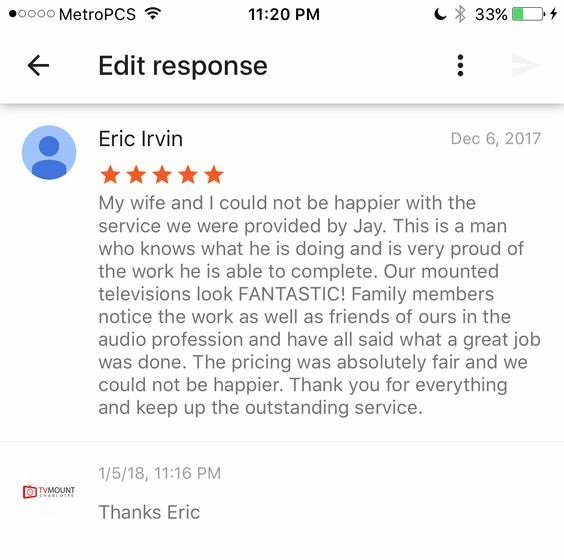 What makes us special and the best TV mounting service Charlotte offers? 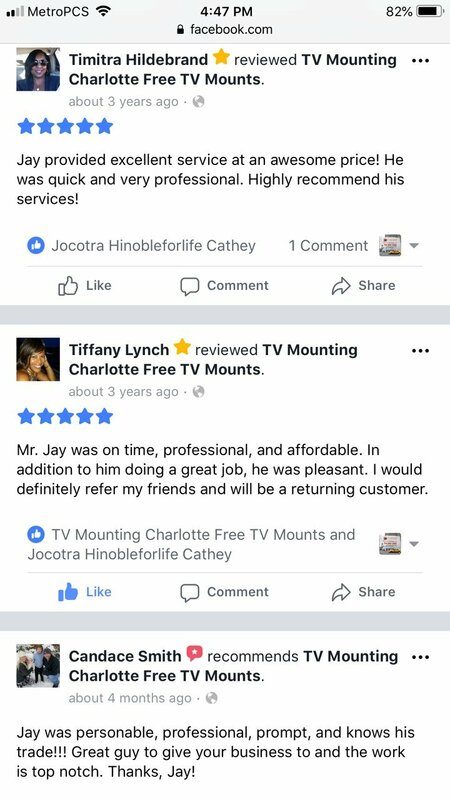 No one gives more than Charlotte’s top choice for TV mount installation! 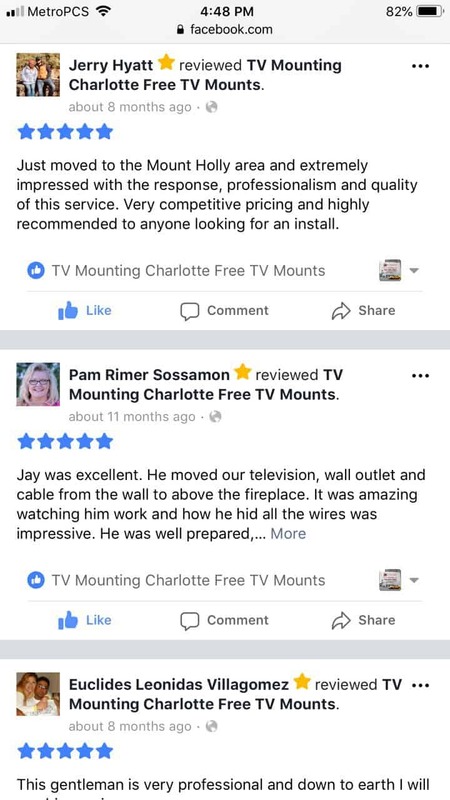 Locally owned and operated, TV Mount Charlotte’s professionals will install your TV mount in a flash, with in-wall wiring and wire-concealment techniques guaranteed to give your TV that clean, professional look. Have a tricky location and you’re not sure we can help? We’ve seen it all! Cramped quarters, low-voltage wiring, stone and brick fireplaces, even outdoor TV installations. 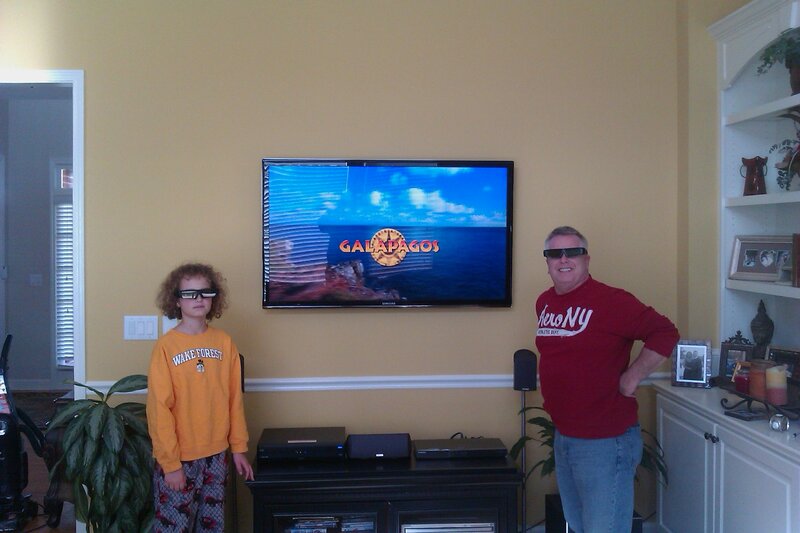 In addition to TV mounting, we also offer projector and speaker installation. All of your entertainment and home theater installation needs, easily accessible in one place. From stone and brick fireplace TV mounting, over the fireplace TV installation, and TV mount wire concealing to commercial TV installation, we cover everything for you! For the do-it-yourself-ers, download the app and check out our blog for tips and tricks for your own TV installation. From mounting advice to wire-concealment tips, we will walk you through the entire process. 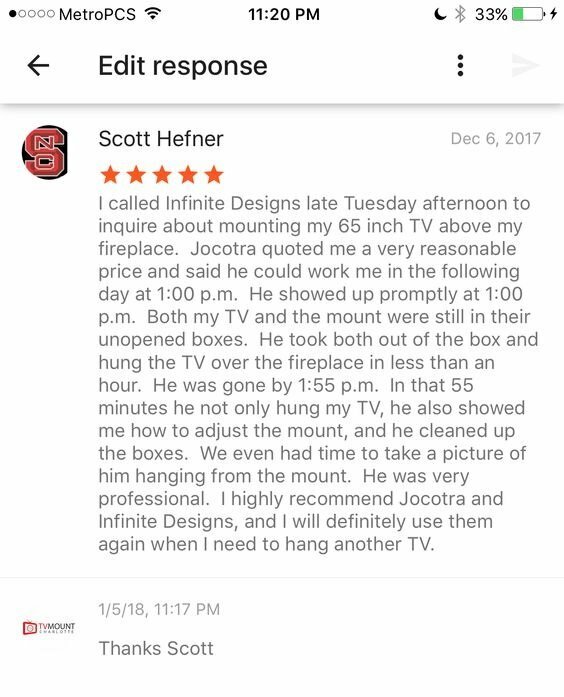 With same day/next day scheduling, over 100,000 successful TV installations, 75000 + satisfied customers, a 110% No-Fall Guarantee, and prices starting at only $99, TV Mount Charlotte is the quickest, safest, most hassle-free TV mounting service Charlotte has to get your movies, TV shows, sports, and video games up on your wall and ready to impress. 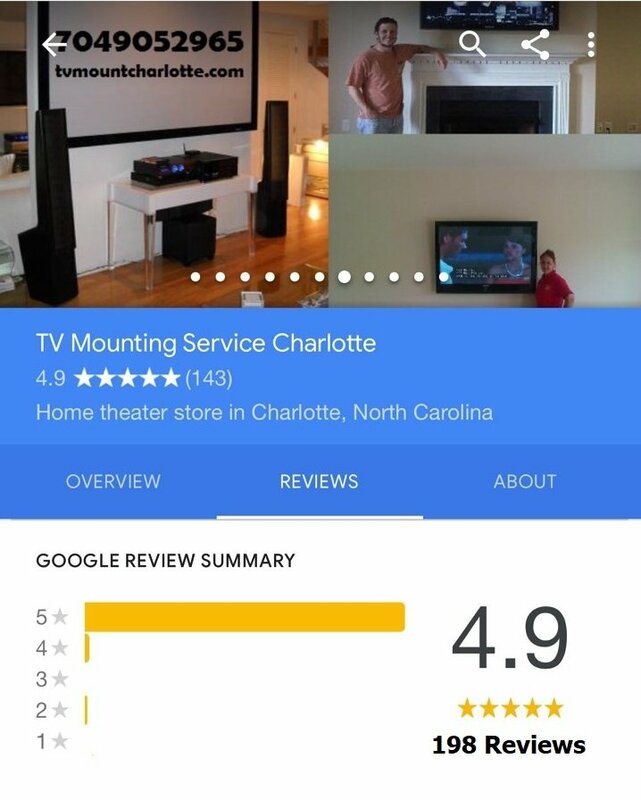 Download the TV Mount Charlotte app today, and leave a review for your chance to win our FREE MONTHLY TV INSTALLATION. 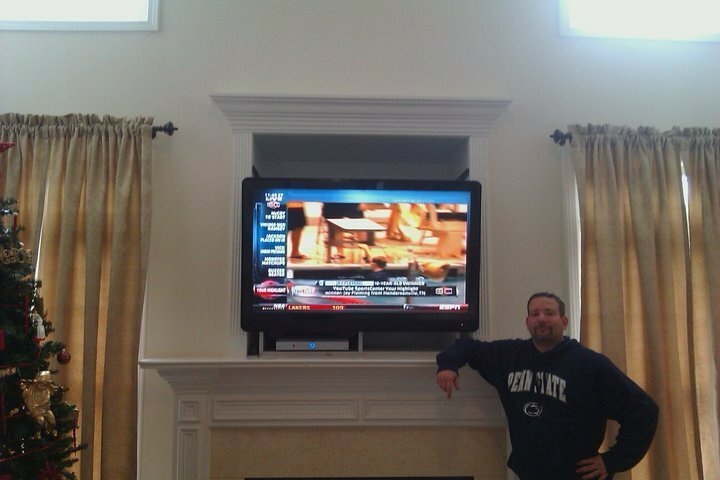 Have any questions before utilizing our one-of-a-kind TV mounting service in Charlotte? Just give us a call or send an email, and we will get back to you as soon as possible. We treat our clients with utmost respect. The technicians are respectful, courteous, and are 100% licensed and bonded. Your satisfaction is our first priority, and we go above and beyond to offer a remarkable experience. Now through football season! 10% off all home theater installations! Now through End Of 2018 – 10% off all TV installations of 55” and up! This Month! 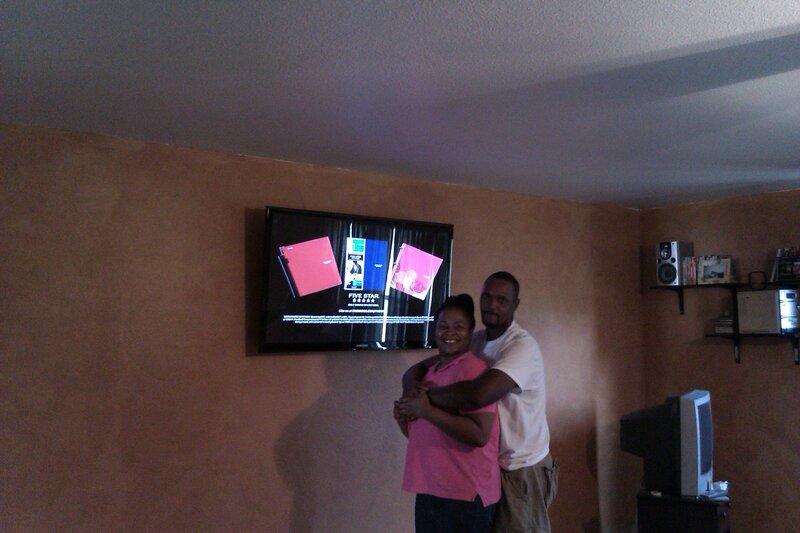 Sound Bar Installation Only $25 With TV Installation! This Whole Month Take 25% Off 3rd TV, 50% Off 4th TV! 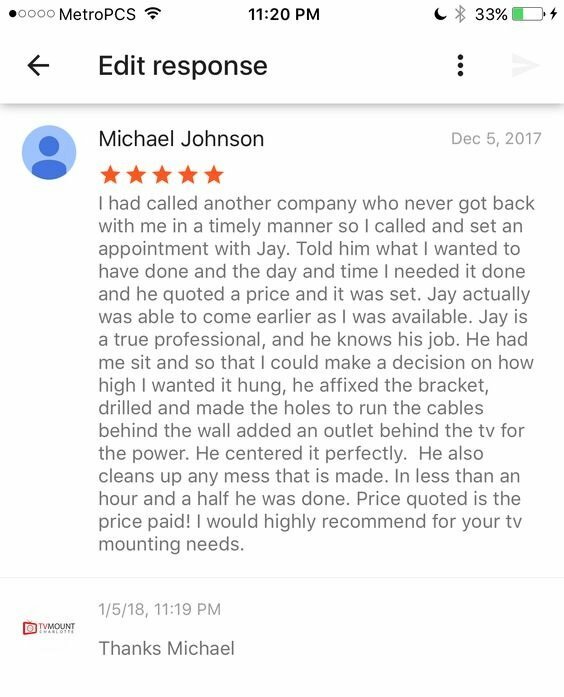 Call us today and enjoy the most professional TV mounting service Charlotte has to offer. We are sure we will meet or exceed your expectations.